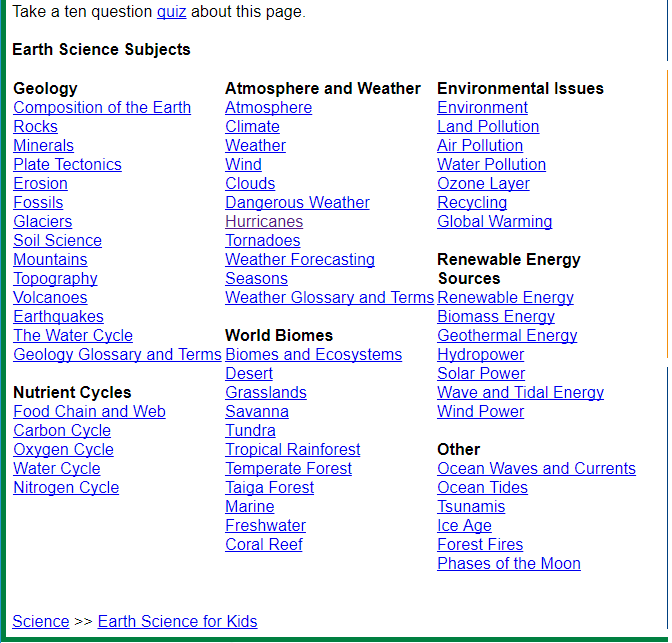 Mom Loves 2 Read: Make the most of Hurricane weather - Earth Science for Kids! Make the most of Hurricane weather - Earth Science for Kids! As I was searching around the internet for fun ideas to teach my younger daughter more about Hurricanes and the recent weather here in Illinois that has been affected by them, I found this fun website that has tons of great Science Education for kids. 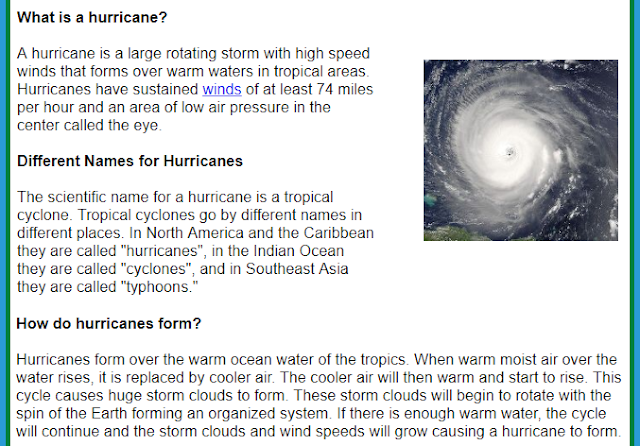 It looks like a great place to find fun information about a variety of things including hurricanes. . .
And additionally has a huge selection of science subjects just perfect for a rainy day, or additional learning for a school project. This is not a paid post. I just personally found this website to be fun, informational, educational and one that I will utilize with my 9 year old for weekend or rainy day fun. Personally I would prefer she be on educational websites like this one than playing Minecraft all day!